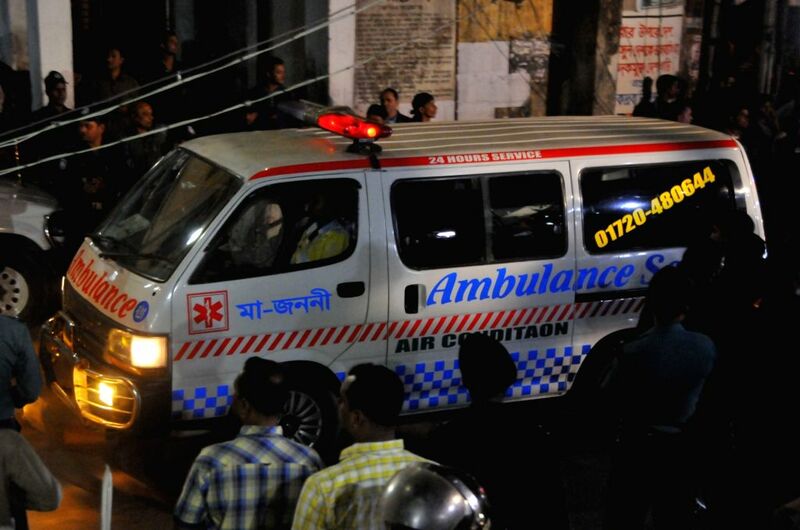 DHAKA, Nov. 22, 2015 - People surround an ambulance carrying the bodies of the two opposition leaders convicted of war crimes after their execution in Dhaka, Bangladesh, Nov. 22, 2015. Bangladesh on early Sunday executed two opposition leaders convicted of war crimes during the country's war of independence in 1971. 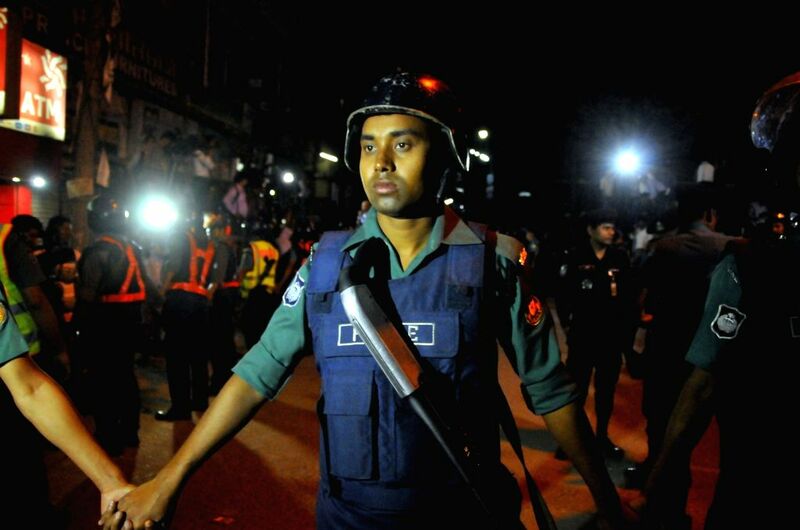 Bangladeshi policemen stand guard in front of the gate of the Central Jail before the execution of two opposition leaders convicted of war crimes in Dhaka, Bangladesh, Nov. 21, 2015.